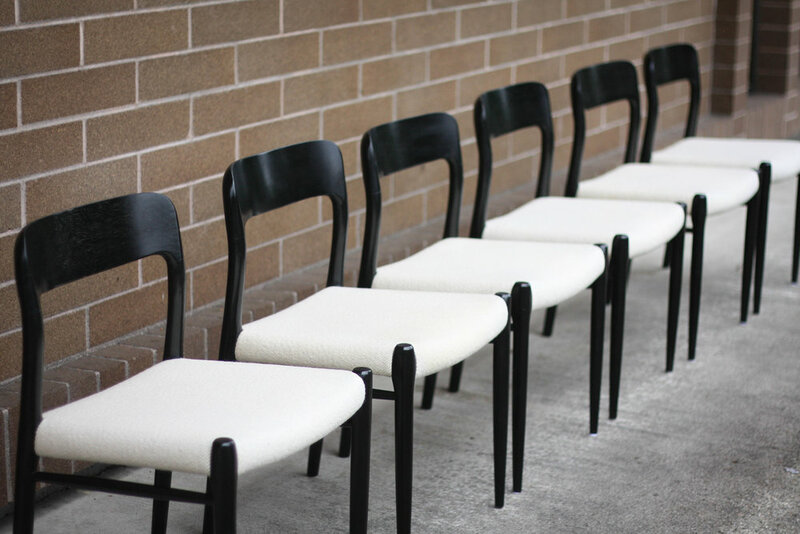 This set of six oak Moller Model 75 dining chairs were designed by Niels Moller for JL Moller in Denmark. 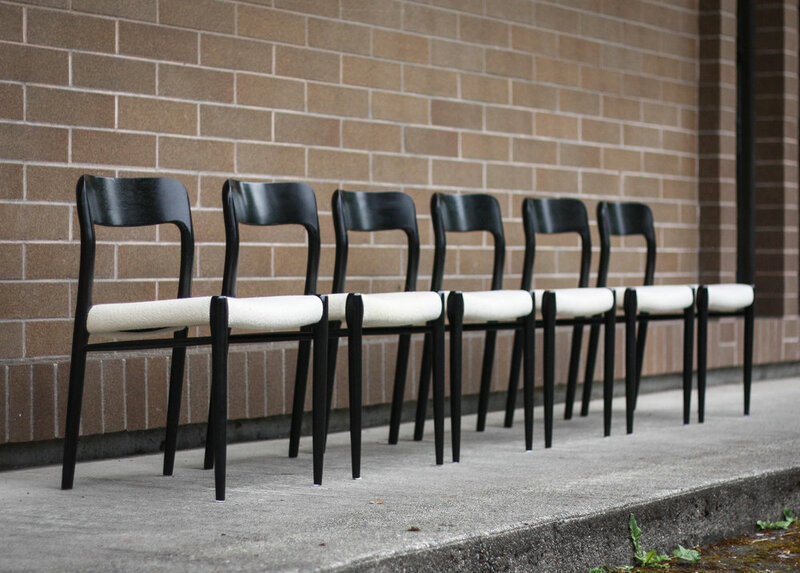 Ebonized versions of Moller chairs are hard to come by. We believe we are the only dealers in the country with a set. We have a Moller magazine authenticating these were produced this way. Be sure to note the joinery of the back pieces to the rear legs and the circular/spindle front legs. Cream wool seats show nicely and need not be recovered, unless you had a different color in mind. Light minor wear to the frames (small knicks and scuff marks). Nothing that stands out and distracts from the chairs overall look. Wonderful condition.